Happier Cooking: Meal planning helps eliminate the frustration of staring into an empty refrigerator or racing down shopping aisles at the end of a long day. And you will probably have much more energy and enthusiasm for cooking. 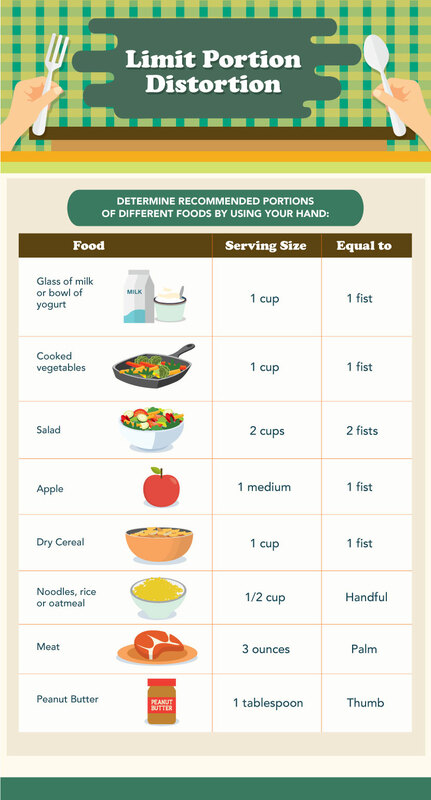 Healthier Diet: Planning ahead makes cooking healthy dinners from scratch much easier. Things you may have never done before – soaking and cooking dried beans, making bread or pizza dough, or simmering soup in a slow cooker – aren’t that hard when you plan in advance. 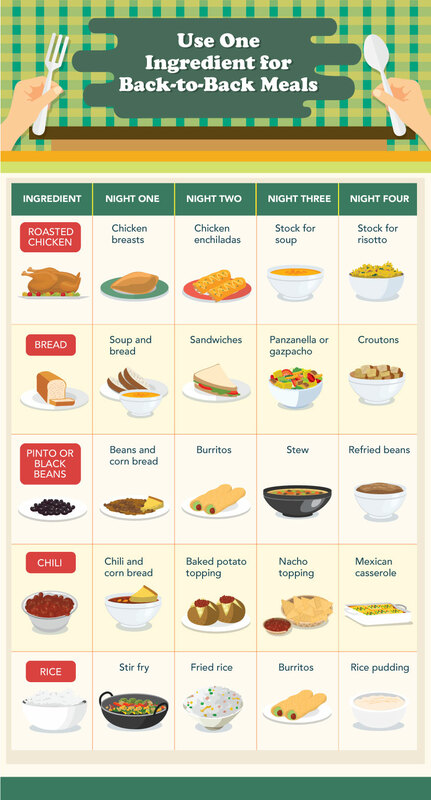 More Eating In: Meal planning helps reduce impromptu trips to restaurants and fast food spots, where families spend more money and eat more calories, fat, saturated fat, and sodium than they do when preparing food at home.56 Families can save dining out for special occasions, rather than tack it on the end of a frenzied day. If you’re new to menu planning, start by planning one week of meals on a day when everyone’s home and you have time to go shopping. Later, you may want to transition to monthly planning to better take advantage of buying in bulk.8 For the first few meal plans, it’s usually easiest to use pen and paper. Later, you can explore fancier ways to plan if desired. This format provides a helpful guideline for planning without stifling creativity. You can swap categories or ditch the whole thing when desired. As a family, brainstorm 20 meals you eat often and everyone enjoys. These will be the core meals that usually populate your meal plan. Choose one or two nights a week, perhaps weekends, to experiment with new recipes. Add any favorite new recipes to your list of core meals. Save money and time by planning dinners that double as lunches for school, the office, or at home the next day. This practice works especially well with beans, burritos, soup, and other foods that freeze well. Study the supermarket ads to see what’s on sale, or find out what’s fresh at the farmers’ market, then incorporate those foods into the menu. Google is an ally for discovering recipes combining a handful of ingredients. Just type in the ingredients followed by “recipe,” and see what comes up. Using sales flyers or seasonal offerings helps limit the paralysis of too many options, saves money, and encourages sourcing food locally. Make a grid with columns for the days of the week and enough rows for the meals you need to plan for – breakfast, lunch, and dinner. Fill in the first meal. Note where you found the recipe, so you don’t have to search through cookbooks or hunt the Internet for it when it’s time to cook. On the other blank piece of paper, list the ingredients you need from the store for the meal, leaving off what’s already in the fridge or pantry. This is your grocery list. Divide this list by where things are located in the store if it makes shopping easier. Repeat until you’ve planned every meal. Post the menu on the bulletin board, on the refrigerator, or in a common area, so everyone knows what’s for dinner. Take the list and go shopping. Join Pinterest to store recipes and menu planning ideas. Mealtime is powerful. Family therapist Anne Fishel writes that she often wants to tell families to go home and eat dinner together rather than spend an hour with her.13 Cooking at home and gathering around the table with family or friends provides countless benefits, and it doesn’t have to be stressful. 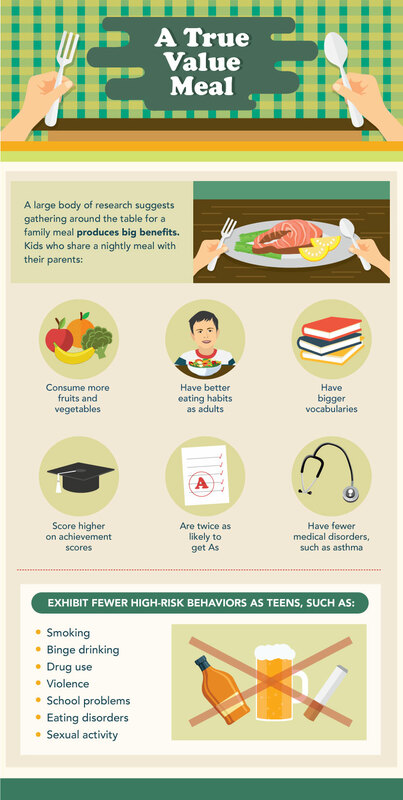 With a good meal-planning system, it may even become everyone’s favorite part of the day.